Senile dementia and loneliness, particularly in teenagers, are two of the issues that have been tormenting the Japanese society for some time now. 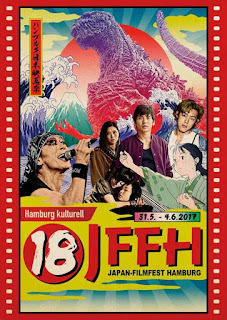 Kikuchi presents his thoughts on the subjects, through the familiar norms of the Japanese indie film. Written by Ayako Kato, the script revolves around two radically different high school girls. Hazuki is one the "cool" ones, with her gang actually "ruling" the class, which means that they spent their time mocking the other students who are not part of their group. One of those mocked is the class's president, Aoi, who, despite her status, ranks very low on the social system of the school, spending most of her time alone. However, both of the girls harbor some secrets. Hazuki suspects she is pregnant by her ex-boyfriend, who is now dating another girl from the gang. Aoi, despite coming from a high bourgeoisie family, has a tendency to shoplift and to hide people's stuff. During one of the times she exercises her second obsession, she listens to Hazuki talking about her pregnancy to her ex-boyfriend. To make things even worse for Hazuki, one of her friends gossips about her secret, a fact she learns about after two girls outside her group mention it to her, randomly. The two girls' very different lives connect when they stumble upon a senile old woman named Etsuko, and the two of them decide to help her. Takeo Kikuchi directs a very sensitive film, which revolves around the two axes I mentioned in the prologue. 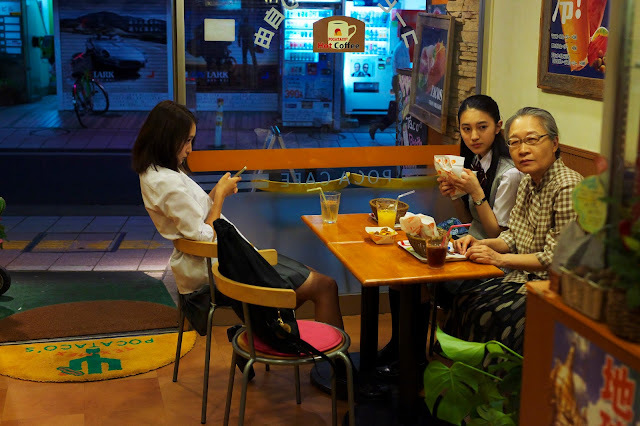 Regarding teenage loneliness, Kikuchi blames it on the social circles formed in schools, which dichotomize the kids to cool and uncool, with the first being the unofficial leaders of the school environment. At the same time, he stresses the fact that a lot of the kids' psychological problems derive from their families, as in the case of Aoi, who even acts out in order to receive some semblance of notice from her parents. This element is highlighted during the ending of the film. Another point stressed is the cruelty associated with the school environment, particularly through gossip, which seems to leave no one untouched, even the "cool" girls. The point of senile dementia is a minor one, but is still highlighted through Etsuko, a woman living in her past, who is considered a burden by both her children, who do not seem particularly eager to take care of her. Etsuko's character actually serves another purpose for the most part, as the factor that brings the two girls together, in the process of a highly unlikely friendship, at least in high school terms. Technically, Kikuchi follows the norms of the Japanese indie. The pace is relatively slow, although not in a tiresome manner, the focus on realism great, the dialogues scarce, and Shunsuke Wtanabe's subtle music rarely present. Yasuyuki Sasaki, the cinematographer, mostly places his characters in the middle of the frames, but shoots from a distance that also highlights their environment. This technique is mostly witnesses during the walk the girls take with Etsuko, when they first meet her. Some beautiful shots of the mountainous town are also presented, although the majority of the film takes place in interiors. One of the movie's best aspects is the acting. Minori Hagiwara as Hazuki is impressive as the seemingly tough and cool girl, who tries to hides her sensitivity under a "tough" facade. Sayu Kubota is equally good as Aoi, a girl with a sole focus of attracting her parents' attention. Both of the roles are rather laconic, but the girls manage to convey a plethora of sentiments through their looks and body stances. Despite this tactic, the film's most impressive sequence, which comes when the two of them confront each other, is rather eloquent. Masako Motai is great as she presents Etsuko's senility in impressively realistic fashion, frequently stealing the show with her performance. "Hello, Goodbye" may not stand out particularly from the abundance of indie films coming out of Japan, but remains a very entertaining film, that manages to presents two very important issues with visual eloquence.